How do you know when it’s time to move your home-based business to an office? Many entrepreneurs and startups launch their business on a shoestring – which often means making use of personal space in the home for their initial base of operations. The convenience, the savings in resources, and the lack of a daily commute all work together to support the common goal of economy and profitability. During those crucial first months and years, this is what’s going to make or break you. Once you’ve launched your business and have gained some stability, the home office may still present some significant advantages, especially when it comes to your budget. But there are other areas in which it might not be helping much at all. When your work is ever-present in your home, it’s difficult to step away. There are always reminders of things that need doing, whether it’s projects on the go, phones ringing, or that looming whiteboard with its never-ending list of tasks. When you have no separation between your work and home life, your relationships will suffer, as will, undoubtedly, your mental and physical health. As convenient as it is to work from home, some things that will always be a challenge, especially if you have children. Keeping your kids in check when you are on an urgent call—or worse yet, when you’re in the middle of an important meeting—can take your attention away from business and could impede your progress in the end. Keeping your business life separate is a good solution for everybody as it means you are working when you’re at the office and focusing on family when you’re at home. If your business is booming enough that you need to hire on more staff – congratulations! However, bringing that staff into your home office space may not be the most practical solution. High-performing teams need dedicated space to work, and this is where having office space that is not in your home comes in handy. To keep things professional and respectful, you don’t want to expose your new hires to all the quirks of your personal life. Giving them an adequate place to do what they do is always the better choice. All businesses benefit from community exposure. Whether it’s merely to put your brand into the public eye or to attract walk-in customers, having a professional business presence gives you more stature and a broader influence in general. It will show that you support the local economy and that you are there to offer a useful service to the public. Having a presence in the community will give you the exposure you need to take your brand to the next level. Are you ready to make the move from home office to professional office space? 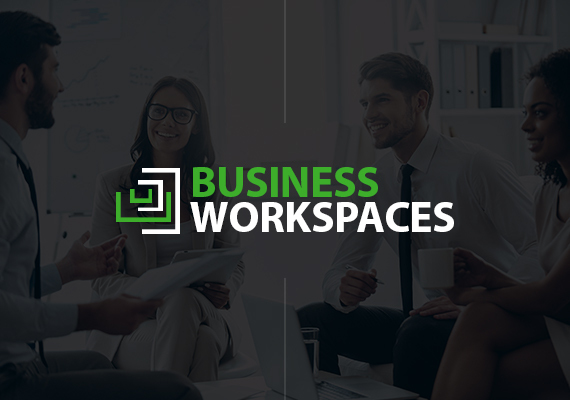 Business Workspaces in El Dorado Hills has a solution for you. From private offices to coworking memberships, we help companies grow. Reach out today to learn more about our flexible office solutions.